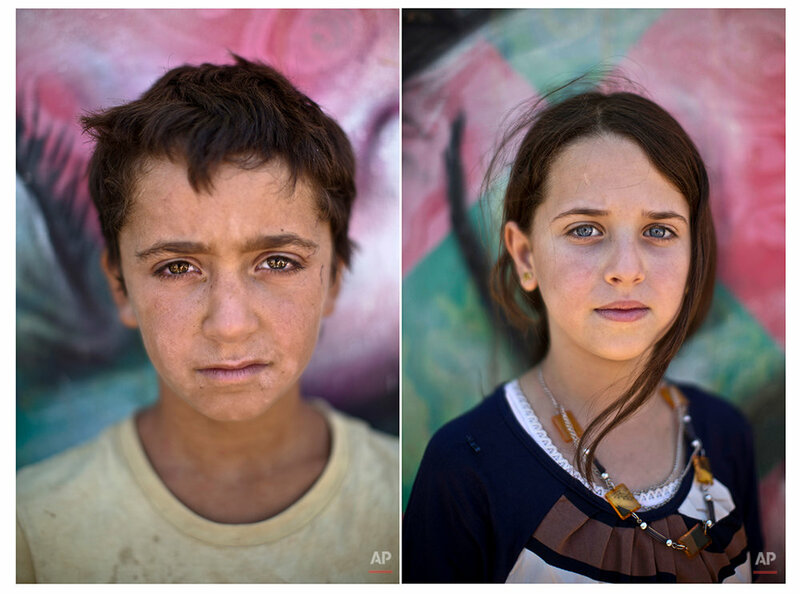 At Jordan's Zaatari refugee camp near the border with Syria, the horror of the neighboring country's civil war can be seen in the faces of its youngest refugees. More than 50,000 refugees under the age of 18 call the wind-swept, massive desert camp home. All have stories about the war, like 11-year-old Amal Qalloosh, who fled her home near the city of Daraa with her family after a government bombing. "On the way here, there was a lot of shelling," Qalloosh said. 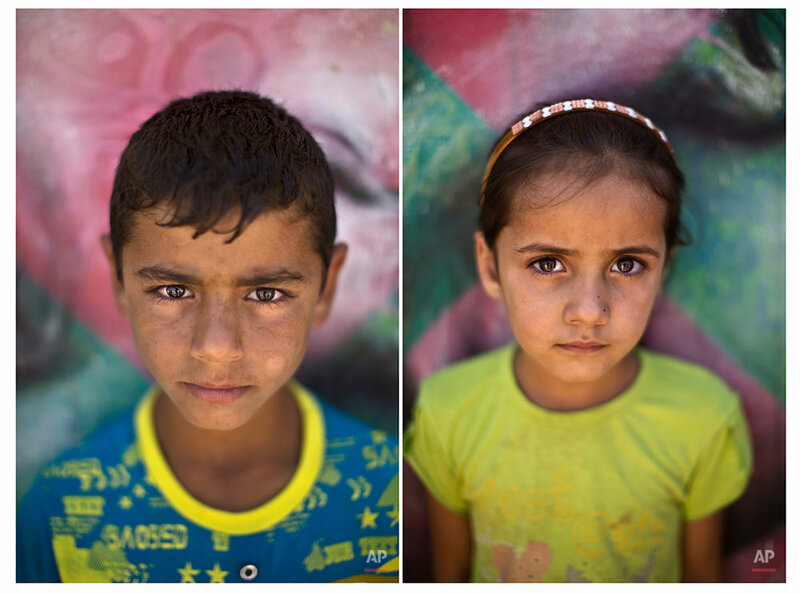 "It was terrifying but we made it all safe to the camp." 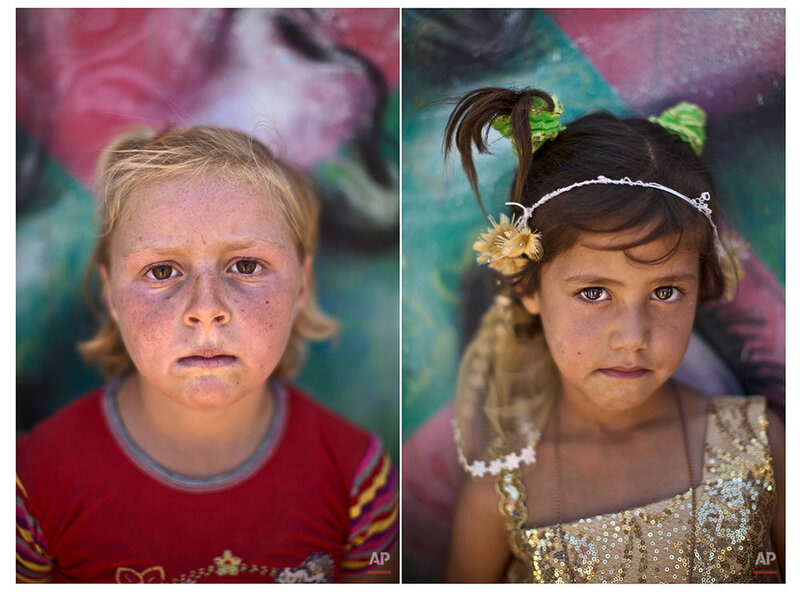 Some children work in Zaatari, while the lucky attend school at the camp. As Muslims celebrated Eid al-Fitr this week, marking the end of the holy month of Ramadan, some children received new clothes from aid agencies and played, though life in the camp can be hard. "I have no more control of my children," said Amani Sbaihi, a mother of seven whose two brothers fought with rebel forces and were killed by Syrian government troops. "They are getting old so young. It's so difficult to have authority over them in such an environment"
More than 2.8 million Syrian children inside and outside the country - nearly half the school-aged population - cannot get an education because of the devastation from the civil war, according to the U.N. children's agency, UNICEF. That number is likely higher, as UNICEF can't count the children whose parents didn't register with the United Nations refugee agency. UNICEF estimates more than 10,000 children have died in the violence. Others suffer from emotional problems after experiencing the war. 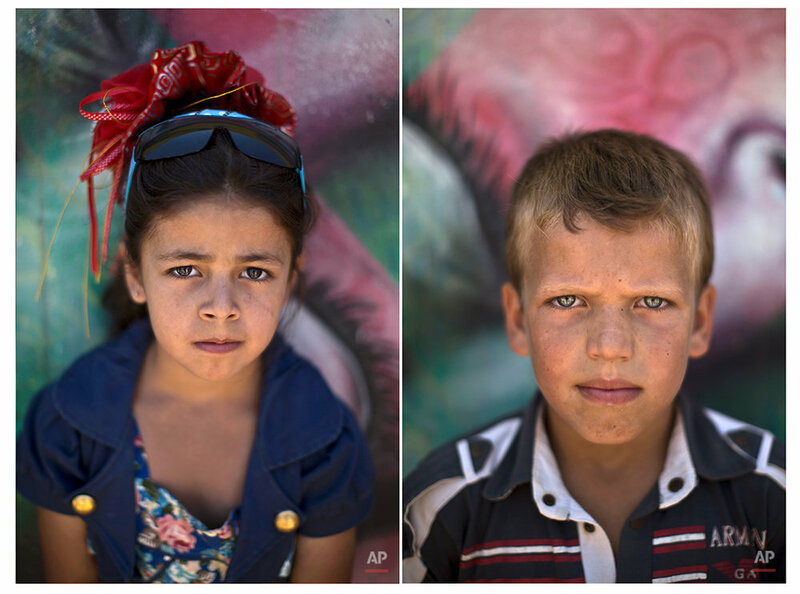 Here are a series of images by Associated Press photographer Muhammed Muheisen of young Syrian refugees in Jordan's Zataari refugee camp. 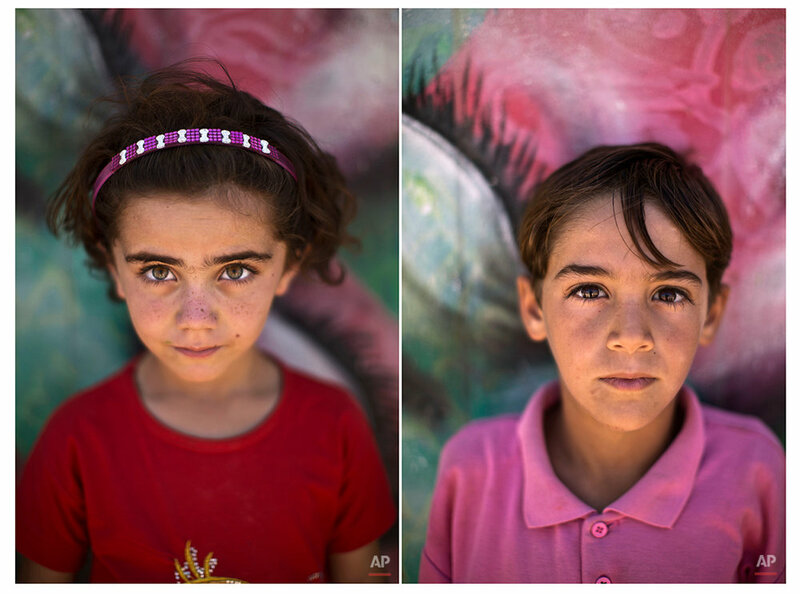 Opening text from the AP story, FACE OF SYRIAN WAR SEEN IN YOUNGEST, By Muhammed Muheisen.